Ricardo Lugo and Star Jones attend Gabrielle's Angel Foundation's Angel Ball 2017 at Cipriani Wall Street on Oct. 23, 2017 in New York City. The two tied the knot while aboard a cruise ship in the Bahamas. 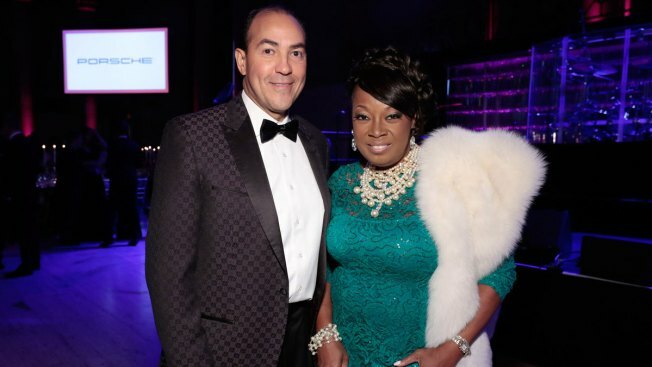 Star Jones is a married woman once again. On Sunday, the journalist and former "The View" co-host wed her fiance Ricardo Lugo on a cruise ship, the Royal Caribbean's Anthem of the Seas, in the Bahamas. The wedding was part of multiple-day celebration that also included a 56th birthday party for the bride on Saturday. Jones has been busy posting a slew of social media images and video from her fun-filled, double-duty trip, including an Instagram of her Kleinfeld dress bag. The couple got engaged in October 2017 and have been together since 2016. This is the second marriage for Jones. The 56-year-old tied the knot with investment banker Al Reynolds in April 2004. The couple announced their split in March 2008 after almost four years of marriage.